Anderson’s Coal Energy installs wood stoves, wood inserts, wood fireplace, pellet stoves, pellet inserts, gas stoves, gas inserts, gas fireplaces and gas logs. Did you buy a new stove from one of the ‘big box stores’ and then realize installing it was more than you wanted to take on? 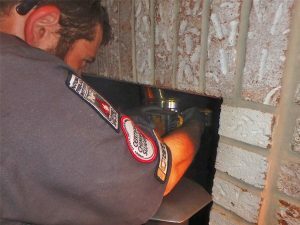 We can install it for you too.All of our lead technicians are certified by the Chimney Safety Institute of America. We also hold certifications through the National Fireplace Institute and we are trusted by clients throughout Adams, Cumberland, Dauphin, Franklin, Lancaster, Lebanon, Perry, and York Counties to install their gas, wood and pellet burning appliances. Inserts, stoves, and fireplaces are designed to require minimal maintenance, but they still need inspected annually and serviced periodically. After installing your appliance, we will be around for years to come to provide any needed service and repairs. We even service and repair units we didn’t install.Anderson’s provides a wide range of services to keep your hearth working at its best. Chimney inspections and chimney sweeping is where our business started in 1990. Our technicians are certified through the Chimney Safety Institute of America and we use state-of-the-art equipment while inspecting and sweeping your chimney. You are lighting a fire in your home and we want to make sure you do so as cleanly and safely as possible. After we inspect and sweep your chimney, if we find any issues you need to be aware of we will go over them with you and give you any recommendations for repairs. Gas fireplaces, inserts and stoves are easy to maintain on a daily basis. Because of this, it is easy to neglect scheduling maintenance. Nobody really thinks about using his or her gas unit in the spring but after a long winter of use, spring is really the best time to schedule your service. During your gas service our Gas Specialist will thoroughly examine your gas stove, gas insert, gas logs or gas fireplace to make sure it is in perfect operating shape. Yes, all pellet stoves and inserts require weekly homeowner upkeep but they also need a good professional cleaning at least once a year. 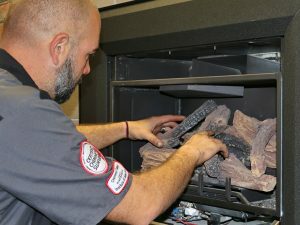 Once we clean the pellet stove or insert if we find any issues that need repaired or fine-tuned, we can handle that too. With three pellet service and repair technicians on hand, we can easily find the perfect time to service your unit. In addition to selling, installing and servicing pellet stoves and pellet inserts, we also sell premium pellet fuel. We usually rotate between 2 or 3 brands that we have found to have a high BTU output and low ash content. Give us a call at 717-975-3526 for current pricing and brand availability. You take such pride in your home. Don’t neglect your fireplace. You remodel your home as your tastes change, so why are you ignoring that old fireplace? Want a new mantel? Thinking of converting from wood to gas? Want to give your fireplace a complete makeover with new brick and stone? Don’t have a fireplace at all but always wanted one? We have options to fit every budget. We are Anderson’s. This is what we do and we’ve been doing it for over 25 years. You are lighting a fire in your HOME, why trust anyone else? 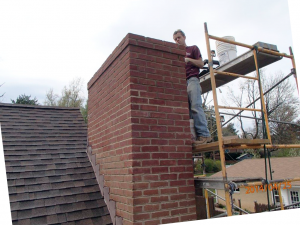 Our masons are chimney specialist. That’s what they do, that’s ALL they do! 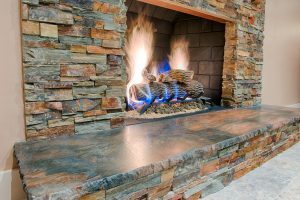 We have three dedicated masonry crews and our Lead Masons have a combined total of over 40 years of experience working on chimneys and fireplaces throughout South Central Pennsylvania. We know that damaged brick and mortar can ruin the charm of your home and cause costly repairs. Your chimney has spent years in the sun and elements. Matching brick and mortar color is an art in itself. If your brick is salvageable, we spend the extra time and care to clean them of the old mortar and we reuse them for a guaranteed perfect match. If we have to blend new brick in with the old, we match color first and then texture. We then integrate the new brick randomly in with the old. We carefully hand pick the materials for your particular job. This is what sets us apart from the other guys. Our knowledge is applied to every job we do and we warranty our work. A Division of Anderson's Chimney Sweeps, Inc.
© 2019 Anderson Coal Energy All Rights Reserved.